In a couple of weeks on April 17-18, 2015 I will be going to Atlantic Canada for the NEXT children’s ministry conference! NEXT is for anyone who serves in children’s ministry, particularly volunteer leaders. The win of NEXT is you go away encouraged and with practical tools to do children’s ministry with excellence in your context. I’m so glad to get to be a part of NEXT. Here is my interviewed with them. I am honored to be presenting again at Group’s Kidmin Conference. I would love for you to join me. I will be speaking about Gospel Centered Ministry to kids. Explore what kids need to know, why good theology matters, and practical tools to communicate to kids in any size group—from large group to small groups to one-on-one. Dive deep into creating a better understanding that the gospel is for us and the parents we serve. The goal of the gospel in our lives and ministry is to paint a picture of Jesus that is irresistibly beautiful not as simply useful. I love Goup’s conference. Of all the conferences out there they are by far the most effective at intentionally creating opportunities for those attending to connect. I hope that while you are there you track me down. I would love to hear what God is doing in your church. Stewardship. Leaders should attend training conferences because we are not just volunteers or leaders we are stewards. When you realize that you are a steward of the time and influence God has given you it changes how you use your time. It’s not your own. I love how the first question of the Heidelberg Catechism draws this point out so vividly. It says What is our only comfort in life and death? The answer is “That we are not our own but belong body and soul to our faithful Savior Jesus Christ. When we realize that we are not owners but stewards it changes events like these from have to, to want to. If you are not growing. If you are not pushing yourself spiritually or academically then you are being a poor steward. The trap that is so easy to fall into I have many times is thinking that your ministry is yours. You do what you do for the glory of God. You occupy until He returns. You are a steward of the gifts, talents and abilities you have been given. You do not possess talent you are a steward of the gifts God has entrusted to you. So go to conferences, read books, go back to school, have lunch with someone who is a mentor to you. Steward the gift don’t deceive yourself into thinking that you are owed something because you own it. A decision is a judgment. It is a choice between alternatives. It is rarely a choice between right and wrong. It is at best a choice between “almost right” and “probably wrong”—but much more often a choice between two courses of action neither of which is provably more nearly right than the other. One of the things I never anticipated as a Bible College student and as a young 21 year old entering the ministry was the enormous amount of decisions I would have to make. Small decisions based on what type of paper to use for a craft, to large ones such as how to advise people facing a crisis. The problem with most decisions is what Peter touches on in this first quote from his book “The Effective Executive”. Most decisions you will have to make in life are not clear. Most decisions you will have to make in life are not clear. They are not right vs. wrong they are not good vs. bad. They are usually between almost right and probably right. In leading others you need experience, intuition and trust. Experience and intuition combine to help you get things almost right most of the time. Trust in your team and ultimately in Christ will help you make good decisions most of the time. Executives are not paid for doing things they like to do. They are paid for getting the right things done—most of all in their specific task, the making of effective decisions. Leading is easy deciding is hard. Everyone wants to be a leader and to some extent everyone is a leader. What makes you effective in whatever environment you lead in is how effectively do you make decisions. Effective leaders not only make effective decisions but they train others to do the same. Decision making that is shared is always more effective than decision processes that are exclusive and ideas that are horde. It becomes clear that a decision requires courage as much as it requires judgment. There is no inherent reason why medicines should taste horrible—but effective ones usually do. Similarly, there is no inherent reason why decisions should be distasteful—but most effective ones are. If you lead long enough you will find yourself making lots of difficult decisions. I am not a type A personality so making hard decisions are not fun for me. I have had to make my fair share of difficult decisions over the past few years and many of them of been positive some don’t seem to be as positive. 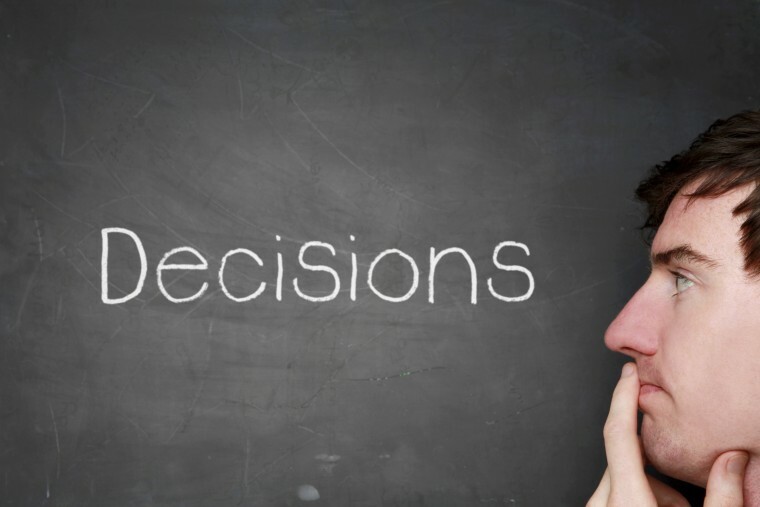 I thought I would share a few different keys to making good decision in hard situations. 1. Know the bible. The bible is full of wisdom for you, but more than that, it is a lens to see the world. When you understand your bible many things that seem hard from the outside are made clear by submitting your life to the Word of God. 2. Pray often – Prayer is us exchanging our weakness for his strength. You want strength to make good decisions? Pray. Exchange your lack for his sufficiency. 3. Listen to those closet to you. They care about you enough to speak the truth. 4. Listen to those who gain nothing from your relationship with them they are often the most honest. Don’t dismiss people because they are “strange” or are on the cultural fringes. They have nothing to gain or lose by speaking out so they often do so with much more honesty and clarity than we give them credit for. 5. Give the credit take the blame. No matter how a decision turns out. Always take the blame and give the credit to others. No matter how many decisions you have made that have not turned out well. Learn from those mistakes embrace them and keep going keep deciding keep glorifying God in all things. Pastors keep a close watch on your life and illustrations by Jared Wilson – Love Jared’s candor and his desire for preaching to be both practical and trans-formative. If you preach to any age group check out this post. 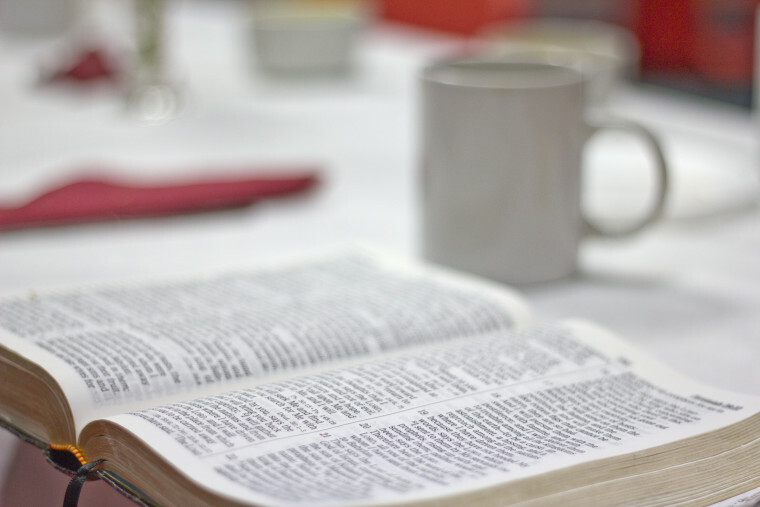 Teaching kids about Prayer and Fasting by Dale Hudson – Great post on the practical ways you can help kids connect with God and be apart of a church wide time of prayer and fasting. Mom’s Need Theology Too by Christina Fox – While books with practical tips are useful for some things, the hope they provide can be short-lived. In truth, it is in theology, in our study of who God is and what he has done, that gives us the real hope, real wisdom, and real peace that we need in our lives — the kind that lasts. It’s theology — knowing God — that anchors us in the chaos of motherhood. God Doesn’t Need Your Help by Jared Wilson – Love this quote – “I fear that thousands of younger persons enter Christian service from no higher motive than to help deliver God from the embarrassing situation His love has gotten Him into and His limited abilities seem unable to get Him out of.” Boom. Freely: High Quality Free Christian Photos by Church Mag – A new Source for free high quality photos need I say more. Pablo: Create engaging social media images in 30 seconds or less by Church Mag – love this.